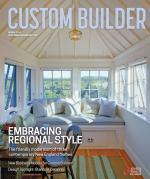 Do Custom Home Builders Need Social Media Skills? Will Duderstadt brings a nimble mind-set to social media, having worked for businesses large and small. 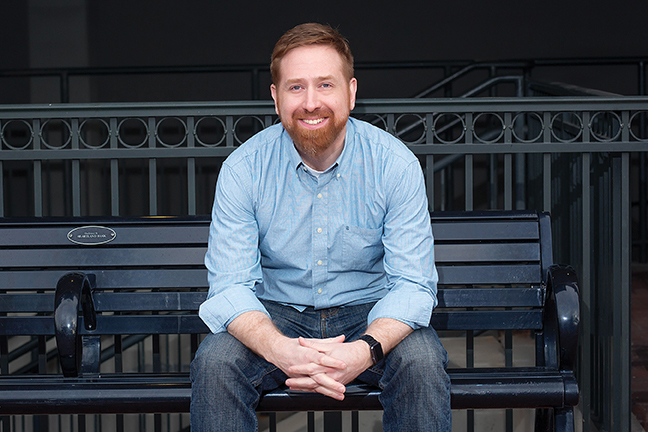 He’s a member of Professional Builder’s 40 Under 40 class of 2017 and held various positions at Apple before going to work for Columbus, Ohio-based M/I Homes, where, as marketing manager of web platforms, he oversees content strategy for 14 divisions. We sat down with Duderstadt to ask why custom builders need to be on social media, if engaging in it can truly be worth the time and trouble for a small-business owner, and which builders are setting the standard right now on social media channels. You recently Tweeted your Sunday night ironing. Why? I see a lot of brands trying to live Tweet as a way of broadcasting. Many of them fail. They start with gusto and then peter out, or they do it poorly to start with. I wanted to see how it’s done, and figured a good start would be when the stakes are low. I learned a ton. Audience matters—a lot. My Twitter audience doesn’t really care about ironing; they follow me for Internet marketing tips, real estate info, and my love of Jeopardy. Engagement was lower. It underscored the importance of consistent and relevant content that your audience expects. Play to your strengths, whether it’s green technology, woodworking detail, or Georgian architecture. Some of us see social media as a pain in the neck. It’s easy to generate content for social media if you step back and look. Opportunities are all around us. Take a photo. Write a quick one-liner. It takes effort, but it’s easy. You can do it on the jobsite, all the way through to finishing the home. Do custom builders actually have to be on social media? As with any small business, you want to be where the bulk of your customers are. Today, people spend 50 minutes on Facebook, compared with 15 minutes reading the newspaper. That’s huge. Ultimately, Facebook, Twitter, and Pinterest are advertising platforms masquerading as social media. In the way that TV and radio disrupted things a century ago, so it is with social media today—it’s a new medium for advertising. Many custom builders would say they just don’t have time for social media. Meeting with clients, driving from one job to another, responding to crises, overseeing trades, walking jobsites, catching up on paperwork. Most don’t have a marketing staff or an assistant to keep up with social media for them. How do they compete? You have to give it some time, and, as with any task, you have to schedule the time. Start with 15 or 30 minutes a week and just think about how you want to be positioned on a social media site. What do you do that you want your potential customers to see? Some of the best content comes from the jobsite. A great photo of crown molding helps show the quality of your work. A short—underscore short—video explaining the process of building a custom home becomes a sales tool. What about a talking head versus demonstrations and content that shows hands-on techniques? It’s a misconception people often have that to say something you have to be a talking head. You can point the camera at your jobsite and narrate as the house is being framed, the tile is being set, and the drywall is going in. It becomes much more powerful. Again, it doesn’t have to be you in front of the camera. I’d argue that it’s probably better if it’s not. If a custom builder had to pick one channel, which one makes the most sense? Choose carefully. Don’t sign up for everything and think that you can do it; few things on social are worse than an inactive account. If you’re going for organic feel and brand awareness, Houzz, Pinterest, or YouTube make the most sense. If you want to reach new customers and drive leads, using Facebook for paid advertising is a great start, and it’s so cheap. It’s a little complicated to set up, but you can get clicks to your site for 50 or 60 cents, as opposed to other channels that might be as much as $5 per click. It’s a very conversational place. A small business should treat Twitter almost as a live chat. It’s on constantly, and you have to be able to respond right away. Which builders are using social media effectively? There are two guys I follow and love. The first is Matt Risinger, owner of Risinger Homes, in Austin, Texas. He produces a lot of quality content on building science, right from the jobsite. He’s become an authority on topics like hidden hinges and tankless water heaters. The other is NS Builders [in Boston]. Nick Schiffer is a carpenter by trade. He has become a champion of the craft, and he’s a booster of the movement that it’s cool again to use your hands. His videos come right from the jobsite, and they show the passion, care, and dedication that he brings to all the work he does for his customers, with more than 60,000 followers on Instagram. What about chasing numbers—hits, likes, shares? Social media is a numbers game. If you aren’t metrics-savvy, this is going to be a bit daunting. The best practice for starting is just to produce quality content that represents you well and speaks to the needs of your customers. Custom clients value their privacy and custom builders are entrusted with that. What about confidentiality? Be vague about the home’s location. Your point of view on coffered ceilings versus tray ceilings doesn’t have to show the people who own the house and what street it’s on. However, it can say a lot about how much you care about craft. Privacy is also a generational thing. Customers in their 30s and 40s are more apt to open up than those who are older. If you’re going to be shooting trades working on those ceilings, ask first, and don’t identify anybody unless they say it’s OK. That’s common courtesy and common sense. Consider going out at dusk, when the workday is done and the light’s beautiful, or on Sunday morning when no one’s on the jobsite. What’s your advice for managing negative comments posted on social media channels? It’s inevitable that upset customers will find their way to your Facebook page or Twitter feed. I welcome posts and comments; I would much rather hear about customer concerns in a place where I can do something about it. Social media allows for fast response that’s public. Handled well, a negative reviewer can become a full-on fan. In the short term, I expect more acquisitions as the heavyweights build out their strategies. I’m not so quick to dismiss Twitter, as it continues to carry tremendous power for customer service, in politics, and for entertainment. Look for emerging platforms to challenge what we know about social, but as a builder, don’t worry about jumping on every platform. Be strategic, determine where your customers are, and focus your energy there. Is there a Next Big Thing we need to know about? My guess is an increased demand for authentic messaging—real-life, unpolished content that isn’t driven by ad agency research. We’ll also see a demand for faster responses and more direct communication with customers. You can already see it with the emergence of live video options from Facebook, Twitter, YouTube, and Instagram. It’s an unfiltered, in-the- moment interpretation of a brand’s message. Millennials are already ferociously consuming video. While they don’t represent the group that custom builders want to reach right now, don’t disregard them completely. Millennials have considerable influence on their parents’ preferences and choices, and that cohort is your target audience. Comments on: "Do Custom Home Builders Need Social Media Skills?"